Where human vulnerability most revealed itself was when the attack came by surprise. This was very different from the conditions prevailing among animals. Not only is it more difficult among most animal species to get close to a rival without being noticed, because of more acute senses, but it is also more difficult to finish off your fellow man in one stroke even if surprise is achieved. An animal’s ‘weapon’ is its body, and that body is very strongly built. Such a weapon is always ready for use. By contrast, if humans are caught unarmed they are at a serious disadvantage and are extremely vulnerable. Humans thus became quintessential first-strikers. As with other animal species, they normally did not seriously fight fellow humans on the open battlefield for fear of being hurt themselves. However, unlike other animals, they were able to kill adults of their own species by ambushing the unarmed and vulnerable. And kill they did. Reported estimates of hunter-gatherer mortality rates in fighting are inherently tenuous, but those we have show a remarkable agreement across time and space. For the Murngin of Australia’s Arnhem Land during a period of 20 years, Warner estimated this rate at 200 men of a total male population of 700. This amounts to about 30 percent of the fighting population. Pilling’s estimate of at least 10 percent killed among Tiwi Aboriginal men in one decade comes within the same range. Kimber’s estimate, for a generation, of 5 percent mortality in fighting in arid areas and about 6.5 percent in well-watered ones refers to violent mortality in relation to the entire population’s overall mortality rates. The data for early agriculturalists tells much the same story as it does for hunter-gatherers. About 15 percent of adult Yanomamo died as a result of inter- and intragroup violence: 24 percent of the males and 7 percent of the females. The Waorani (Auca) of the Ecuadorian Amazon hold the registered world record: more than 60 percent of adult deaths over five generations were caused by feuding and warfare. In highland Papua New Guinea independent estimates are again very similar: among the Dani, 28.5 percent of the men and 2.4 percent of the women have been reckoned to have died violently. Among the Enga 34.8 percent of the men were estimated to have met the same fate; Meggitt had records of 34 wars among them in 50 years; among the Hewa, killing was estimated at 7.78 per 1,000 per year; among the Goilala, whose total population was barely over 150, there were 29 (predominantly men) killed during a period of 35 years; among the lowland Gebusi, 35.2 percent of the men and 29.3 percent of the women fell victim to homicide; the high rate for the women may be explained by the fact that killing was mainly related to failure to reciprocate in sister exchange marriage. Violent death in tribal Montenegro at the beginning of the twentieth century was estimated at 25 percent. Archaeology unearths similar finds. In the late prehistoric Indian site of Madisonville, Ohio, 22 percent of the adult male skulls had wounds and 8 percent were fractured. In a prehistoric cemetery site in Illinois, 16 percent of the individuals had met a violent death. All this suggests that average human violent mortality rates among adults in the ‘state of nature’ may have been in the order of 15 percent (25 percent for the men); extremely sparse populations living in areas where resources were diffuse probably occupied the lower part of the scale, but not by a very wide margin. Posted in Tribalism, War and Peace. Tagged with Balkans, Montenegro, New Guinea, Yanomamo, tribal war. An Australian writer living in Sydney, Roger Sandall is the author of The Culture Cult (2001), a study of romantic primitivism and its effects. 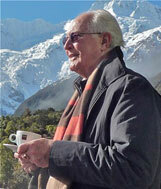 His work has appeared in a number of places including Commentary, The American Interest, Encounter, The New Criterion, The American, Sight and Sound, Quadrant, Art International, The New Lugano Review, The Salisbury Review, Merkur, Mankind, Visual Anthropology, and Social Science and Modern Society. © Copyright 2009 Roger Sandall, All Rights Reserved.